Irish missionary presently works with Hands of Care & Hope project in the slums of Nairobi assisting out of school youth and those living with HIV. An Irish missionary nun who has spent all her life helping the most vulnerable in Africa along with British human rights activist Gareth Peirce and Peruvian writer Mario Vargas Llosa were among those honoured with the Presidential Distinguished Service Awards on Thursday. Sr Miriam Duggan, who is a medical doctor, and has been honoured by the Ugandan government for her role in helping reduce HIV/AIDS infection rates from 26% down 6.3%, flew into Ireland for the special award ceremony at Áras an Uachtaráin. The Presidential Distinguished Service Award for the Irish Abroad honours the work of exceptional people who contribute to Ireland and to Irish communities abroad. The awards ceremony was attended by the Taoiseach Enda Kenny, the Minister for Foreign Affairs and Trade, Charles Flanagan, and Minister for the Diaspora, Jimmy Deenihan. She joined California-based Fr Brendan McBride, who played a significant role in helping the families of the six students killed in the Berkeley balcony collapse contend with their loss and trauma as well as Japan-based Irish missionary Fr Donal Doyle in receiving the prestigious honour. In his address, President Higgins paid tribute to the two priests and the Sister as well as actor Gabriel Byrne, Maureen Murphy, who is also the creator of a powerful exhibition documenting the almost half a million emigrant Irish woman who passed through the Irish Mission in New York City. He said all ten recipients had immersed themselves in cultures around the world. “Fr Donal Doyle has spent over five decades in Japan helping to plant the seeds of Irish heritage, and encourage Japan’s leaders of the future to visit Ireland,” the President said. The President said that in recognising their courage, commitment and dedication, the Presidential Distinguished Service Award provides an opportunity for Ireland as a people to recognise how they have pushed the boundaries of compassion, tested the very limits of human knowledge and learning, and worked to elevate the standing and reputation of the Irish people throughout the world. “For this we are most grateful,” President Higgins said. She graduated from UCC with a degree in Medicine in 1964. She studied Obstetrics in Birmingham, receiving her MRCOG in 1969 and FRCOG in 1982. She spent thirty years at St Francis’ Hospital, Nsambya, Kampala in Uganda, first as Head of Department and in later years as Medical Superintendent where she was also involved in the training of midwives and doctors. In response to the HIV/AIDS pandemic which became manifest in 1987, when people were becoming sick and dying, she helped establish clinics, mobile home based care programmes to care for the many people ill with HIV/AIDS and to help the many orphans. She founded Youth Alive in an effort to address the root causes for the spread of HIV and to help young people to make responsible choices and avoid getting AIDS. The Youth Alive programme provides ongoing education regarding sexual behaviour, drugs, self-esteem and constructive life choices by providing members with a strong sense of belonging and the necessary support that they need to oppose the negative forces and pressures all around them. This prevention programme was very successful in Uganda in reducing the prevalence of HIV/AIDS, causing a cynical world to sit up and take notice. The Programme has now been extended to 21 African countries. In 1998 she transferred to Southern Africa where she continued to establish care and prevention programmes. Sr Miriam has received many awards for her work. She was honoured by Harvard University, Church of Uganda and the Templeton Foundation for pioneering behaviour based HIV prevention in 2006. In 2008, she was presented with a recognition award from the President and Parliament of Uganda for her pioneering work in HIV/AIDS in that country. 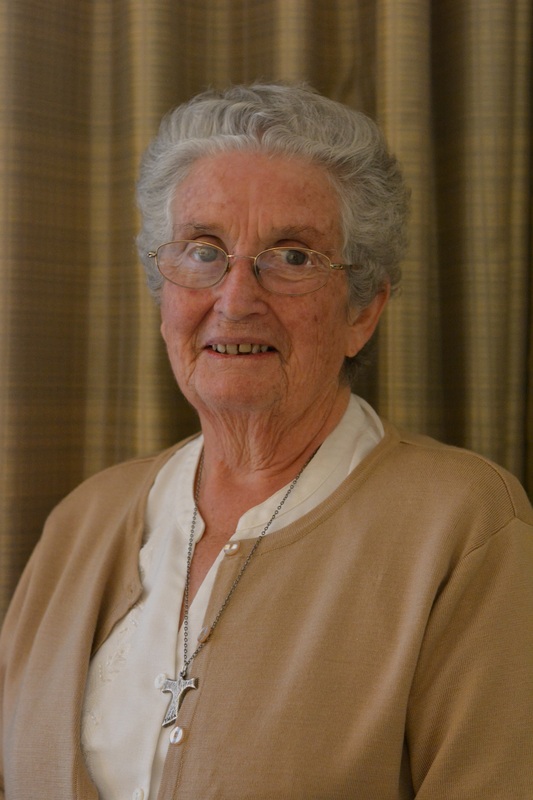 Sr Miriam has also been involved in the Catholic Charismatic renewal and the Christian Doctors’ Guild. She was Congregational Leader of the Franciscan Missionary Sisters for Africa for two terms and President of the Irish Missionary Union from 2004-2009. She is presently working with Hands of Care & Hope project in the slums of Nairobi assisting very poor children, out of school youth and those living with HIV.